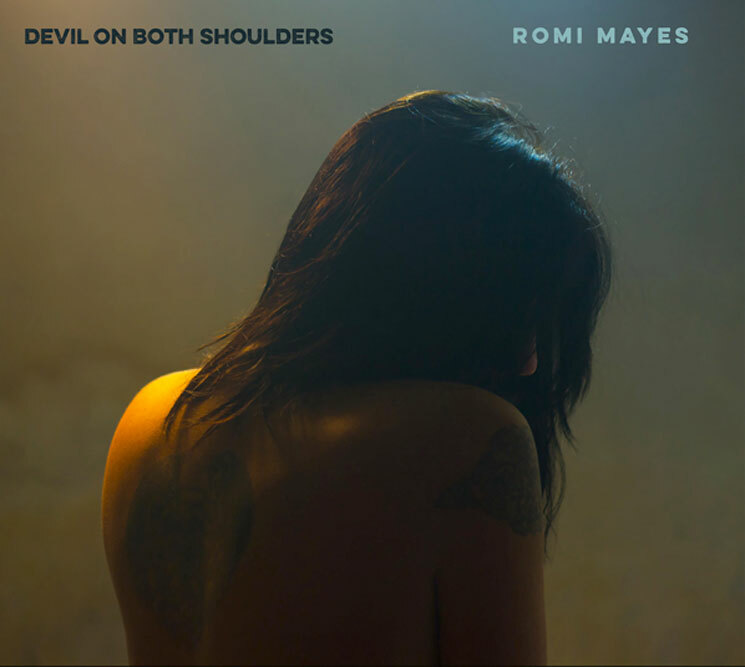 The last time Romi Mayes released an album, she recorded 2011's Lucky Tonight in one take in front of a live audience. The bluesy Winnipeg songwriter has now gone back to a more traditional studio approach with Devil on Both Shoulders, which is due out on May 12. The album was produced by Grant Siemens (of Corb Lund's band the Hurtin' Albertans). "His impeccable sentimentalities really brought the groove and the flow to the album," Mayes said in a statement about her producer. "There was so much respect, trust, and commitment to the end result that we worked together flawlessly. His confidence in me as a songwriter and a singer brought out my best, and pushed me to a higher level of writing and performance." Unlike the duo performance of Lucky Tonight, Mayes was joined in the studio by a full band. She had quit smoking six months before the sessions, which means that her singing here is more melodic than in the past. For a taste of the album's sound, scroll past the tracklist below to hear the title track. It's a slow-burning country-blues number that grows more dramatically emphatic during the refrains. Mayes will perform an album release show at Winnipeg's West End Cultural Centre on May 8.